Bert Carson - writer: Don't You Have Another Gear? My first car was a 1954 Plymouth. It was mechanically sound, yet in sad shape otherwise. I spent twice as much as I originally paid for it to have the rusted out floorboards replaced, extensive bodywork done, and finally a beautiful coat of light metallic green paint applied. The car had a six cylinder, straight six engine, and a three speed transmission with a steering column mounted shifter. I named her "Bullfrog." Bullfrog wasn't fast, and she handled badly on a good day, and very badly on a bad one, but she served me well until I caught the motorcycle bug and traded her for a 1957 Harley Duo Glide, which turned out to be the first of a string of three Harley's I owned through the years. When I told my father I was getting married, he pointed out that I should trade the Harley for a car. My future father-in-law suggested that I should get a job. So, I did both, beginning with the vehicle suggestion. I traded the Harley, with much regret, for a three cylinder, new-to-America, Saab (the new Saab dealer was the only person interested in trading a car for a motorcycle). I hated that car too much to bother naming it. 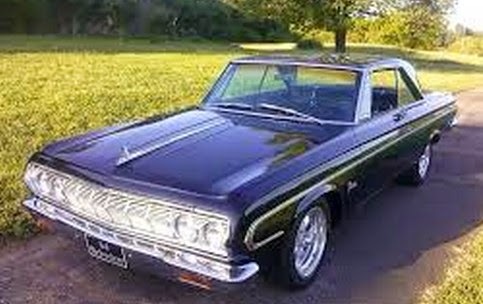 A year after the wedding, thanks to my new job and my new wive's old job, I traded the Saab for my first new car - a 1964 Plymouth Belvedere, (similar to the one in the photo) which I immediately named "Tar Baby." The exterior difference between Tar Baby and the car in the picture was Tar Baby's lack chrome wheels. Imagine the car in the photo with small, plain hubcaps, instead of chrome wheels, and you'll be looking at Tar Baby. The mechanical differences, on the other hand, were extensive. Tar Baby, which by the way was one of 300 prototypes of the now famous Road Runner that Plymouth introduced in 1965, had a 383 cubic inch, high performance engine and a 4 Speed transmission, which was operated through a floor mounted Hurst shifter. After the three speed Saab, lawn-mower-sounding car, I couldn't wait to prove Tar Baby. So the day I took delivery, I challenged a co-worker to a top-end race on the old beach road. William, the owner of a 1963 Ford Galaxy, with a 390 cubic inch engine and three-speed transmission, was more than willing to take me on. Late that night, we drove the eight mile desolate stretch of the old beach road to make sure no radar traps were in operation. Reassured, we turned our cars back toward Jacksonville and the race began. pass but only managed to draw even with William before Tar Baby stopped accelerating. I quickly glanced at the speedometer. The needle was bouncing between 105 and 108. I suddenly had a sinking feeling that was all Tar Baby would do. Then, in a flash of recollection, I remembered I had another gear. 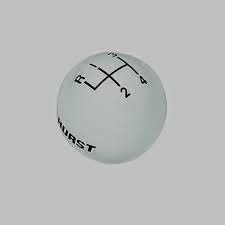 I slammed the big Hurst shifter into fourth and leaped ahead of William's Ford, which didn't have another gear. There been times since that night on the old beach road when I thought I was doing the best I could do and realized it wasn't going to be enough to get me past whatever I was up against. Every time that happened, memories of that long ago night flashed magically into my head and I would recall a forgotten gear, shift into it, and pass the obstacle. How about you - don't you have a gear you've forgotten?